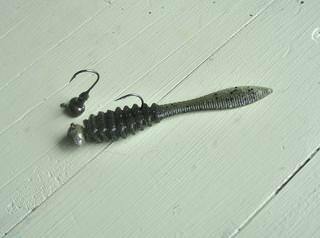 This a request for Dry (Bill) If he wouldn't mind, I know in the past he has been generous with sharing some of his favorite plastic baits. I am getting in the mood to try some of them out but don't have the time to sift through all the posts to locate the names and details. So, if you (Bill) wouldn't mind and have some time could you compile a little list of your recommendations. I will be glad to follow suit, Once this thread gets off the ground it will be available for any one to add to and gather ideas from. Cold water smallmouth bass fishing is my favorite. Some people call cold water fishing "finesse fishing." 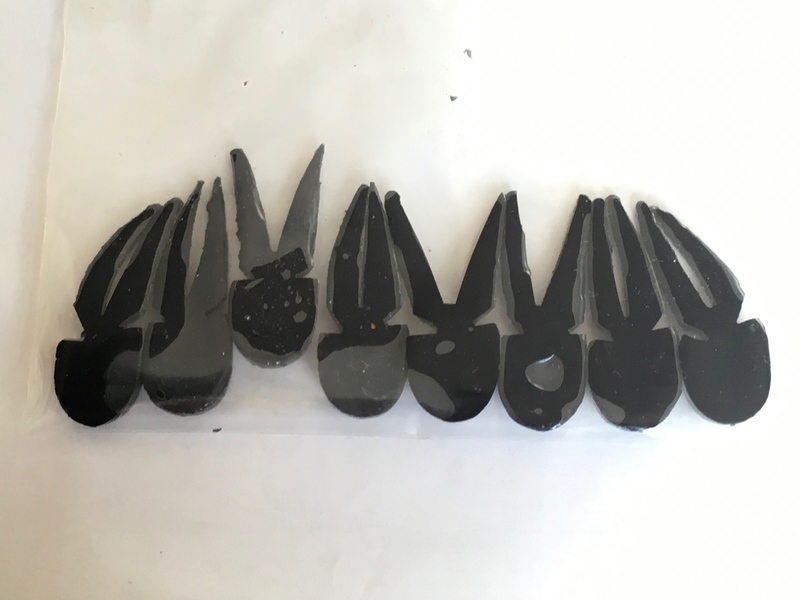 The lures are smaller in size both in length and in diameter presenting a smaller profile to the fish. 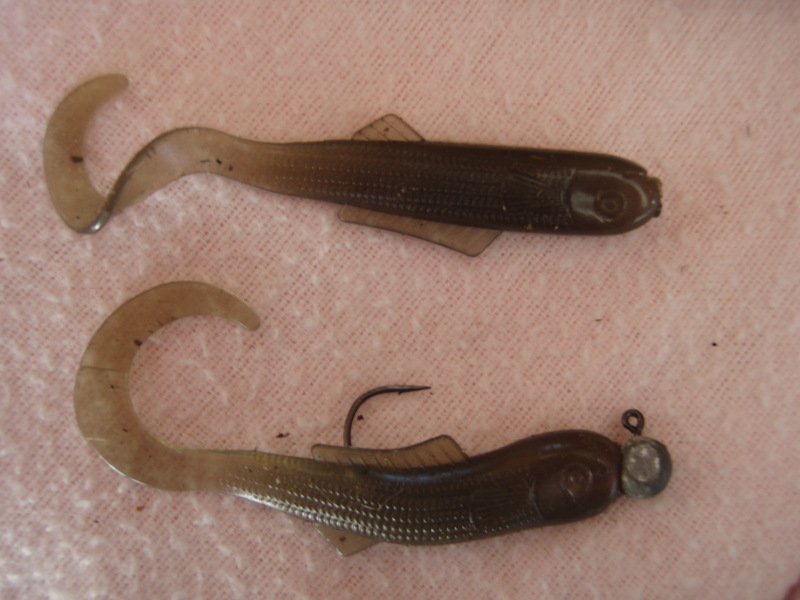 Smaller baitfish are generally easier to catch and digest than larger ones. The colors generally match the colors of natural bait...meaning gray-black, brown-tan, brown-green and generally darker colors. Florescent orange and chartreuse are OK for stimulating aggressive fish but those colors generally do not match the hatch and cold fish aren't that aggressive. 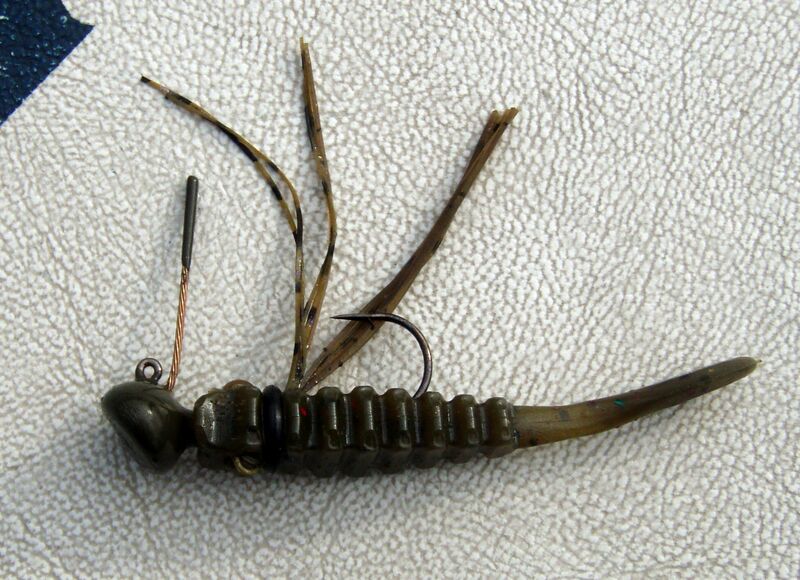 My coldwater baits have been designed by a friend and longtime smallmouth fisherman from PA named Al Winco. He recently sold the company and his baits are now being sold under the name Fitt Premium Lure Company. 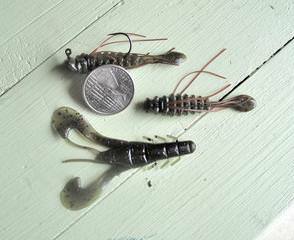 The Baby Predator Craw (on the bottom in this picture) - a 3" crayfish also fished on a standup jighead places the crab in a defensive position in the water. 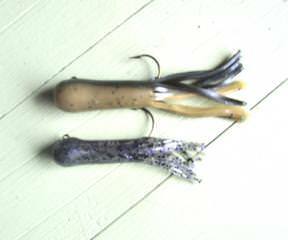 The Willie Wanabee (top and middle in the picture) - a very small 2" lure with a flexible tail and silicone strands that wave in the current as the lure sits on the bottom. Also fishes better on a standup jighead. My 2 other cold water offerings are not made by Winco. Cabin Creek tube 2.5" in smoke/purple color...in this picture it is below one of my standard 3.5-4 inch tubes. 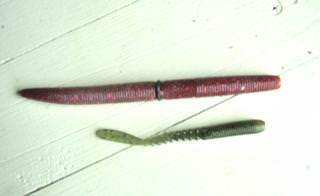 And finally a lure made in the Lewistown area for well over 50 years...the small 3" Lockett curl tail minnow in smoke. Well...there's what I carry in my fishing vest when wading in winter. Just out of curiosity Bill. The guys at fittlures, are they as passionate as Al was? I was surprised, somewhat, that they acquired his business. Realizing also, there is a time and season for everything and everybody. But was really glad to see they were a company from Pennsylvania still. I do not know the man who bought the business. Al is my age and things get a lot more difficult with age, especially a one man operation. I am glad that it will stay a "ma & pa" Pennsylvania business for now, I like buying local. I think the lures are great and will continue doing business with the new owner. I bought all Winco's trailers just before going out of business. He said he was not making them anymore. I love em. Thank you Sir! All that rain last year kept us off the river a bit. Praying for less rain! !